Certified Mail Envelopes include proof of delivery. Electronic Return Receipt for USPS Certified Mail saves time, money and replaces old fashioned green cards. When USPS Certified Mail letters are delivered the proof of each letters delivery is available with Electronic Return Receipt. Old-fashioned green cards can easily get lost, they are difficult to file and store and they cost $2.80. Electronic Return Receipts provides the mailer ‘proof of delivery’ for each USPS Certified letter mailed in the United States. The U.S. Postal Service began providing electronic proof of Certified Mail letter delivery in 2001. When a USPS Certified Mail letter is delivered the delivery information is recorded by USPS as proof of letter delivery and is provided like the old-fashioned Green Card. What happens to the green card Return Receipt? The old fashioned USPS green Return Receipt card has been an icon of Certified Mail for many years. This courtesy reply card is used to provide the mailer notification of letter delivered. The little green postcard has been difficult for the mailer and the U.S. Postal Service to easily manage. Mailers have reported missing or lost cards, stuck inside other pieces of mail and were very difficult to organize file and store. In July 2001, the U.S. Postal Service began providing electronic proof of delivery for Certified Mail labels. 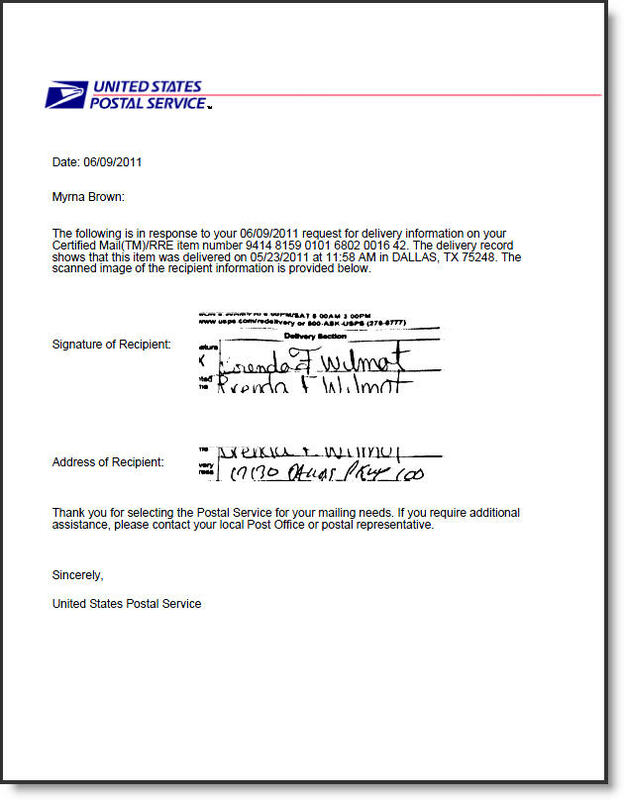 When a Certified Mail letter was delivered the delivery confirmation for each letter was electronically recorded including a Signature of the person that signed or accepted the letter. This proof of delivery information is electronically stored at the USPS central data tracking center in California, and is distributed electronically to each mailer. 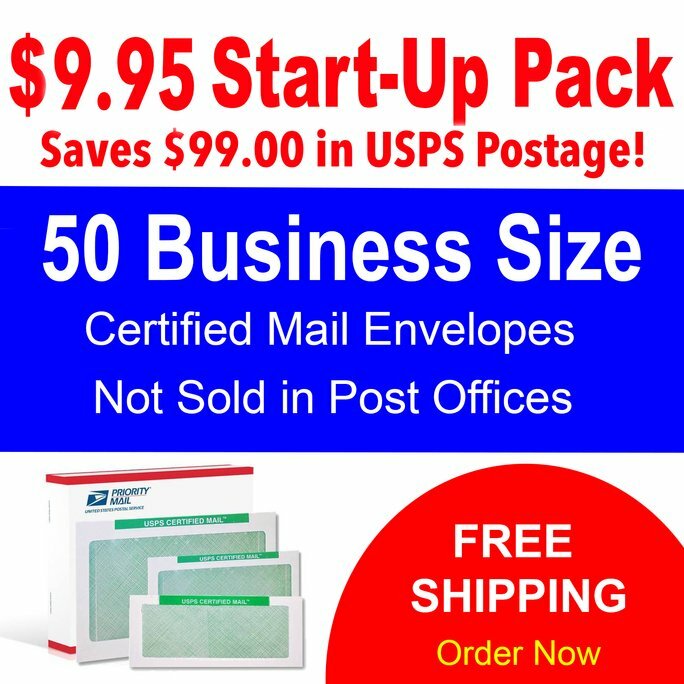 Certified Mail Envelopes includes Electronic Return Receipt plus ‘in-route’ letter delivery tracking information. The information is authored by USPS and is digitally stored and then archived in your mailing account for seven years. It is easy to search and print the Electronic Return Receipt and in-route delivery scans to show proof of mailing 24/7 from any computer. The report prints to your local printer. Electronic Return Receipt is used by Certified Mail customers nationwide and many mailers are replacing the old traditional green card with ERR – Electronic Return Receipt. The process is more efficient. It’s ‘green’ and saves both mailers and the U.S. Postal Service time and money. The Electronic Return Receipt (Green Card) can be printed as needed to your printer. You can even download the proof of delivery data into an Excel or CSV data file to integrate your mailing and delivery information into your companies data warehouse.